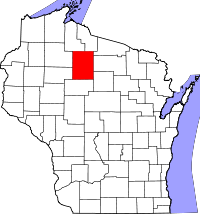 Price County, formed from Lincoln and Chippewa Counties in 1879, has vital records dating back almost to founding, with death records since 1879 and birth/marriage records since 1880. These older Price records, not uniformly maintained until statewide registration was mandated in 1907, are located at the Wisconsin Historical Society, with a statewide index. Records after 1907 are available at the Wisconsin Department of Health Office of Vital Records in Madison, by mail, fax, or in person, for $20/copy or online through VitalChek. Record copies are also available locally at the Phillips Register of Deeds, with divorce records from the Clerk of Court.